I have a new fabric designer crush! If you haven't heard of Lotta Jandotter Get over to her site now! As I was ordering fabrics last week my sales rep showed me Lotta's new collection and I was smitten. I instantly ordered all I could afford from her collection, due to arrive with us in early April, and jumped on the computer to check out her website. As well as fabric, this fabulous designer also produces a range of Melamine products, Candles, Stationary, bags and cushions. 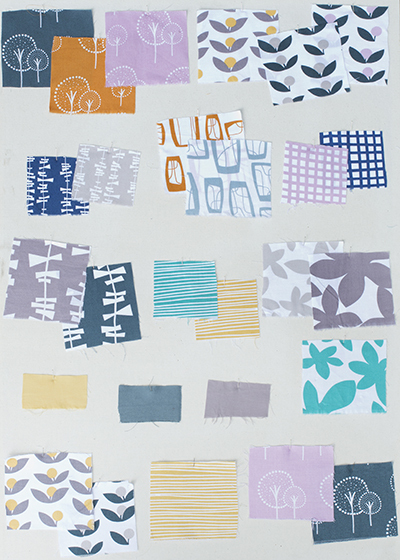 Now residing in a studio/store in New York, where she also holds print workshops, this is a girl after my own heart, her designs and colour schemes are right up my street, and I can't wait to get my hands on these fabrics! Do you have a designer crush, I know H is a massive fan of Orla Kiely, we like patterns around here.